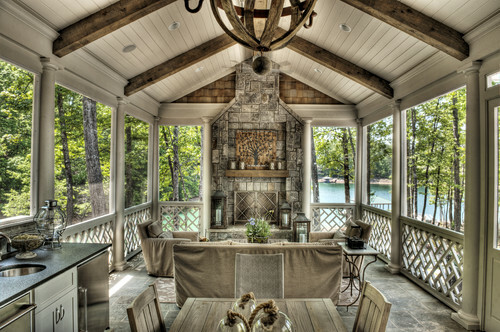 Eclectic Porch design by Other Metros General Contractor Gabriel Builders Inc. 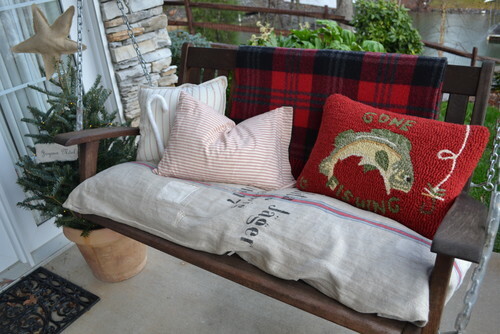 Break up sets with vintage finds and flea market items. 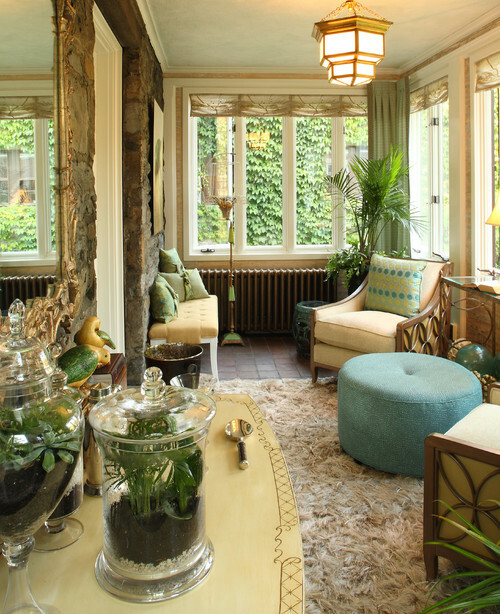 See how one little vintage footstool and a couple of quirky lights break up the matched set of furniture, below? 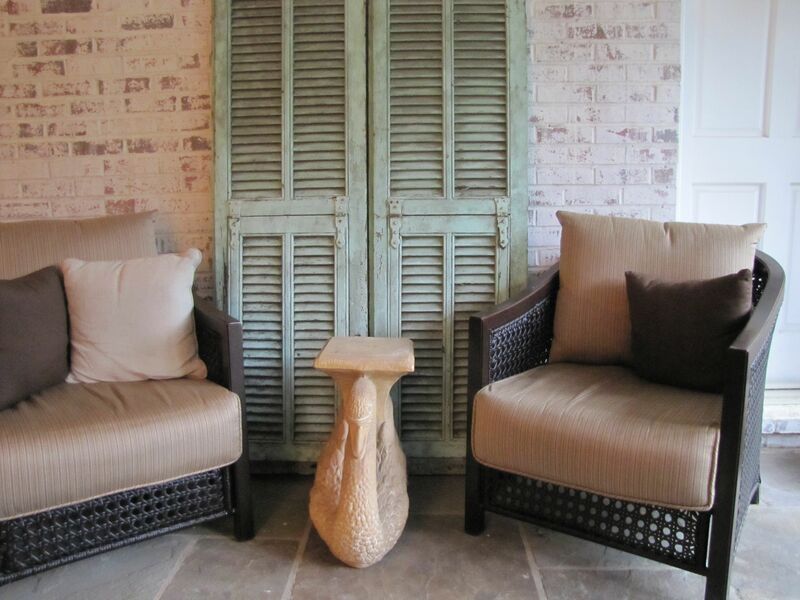 And a couple of roughed-up vintage tables, next image down? 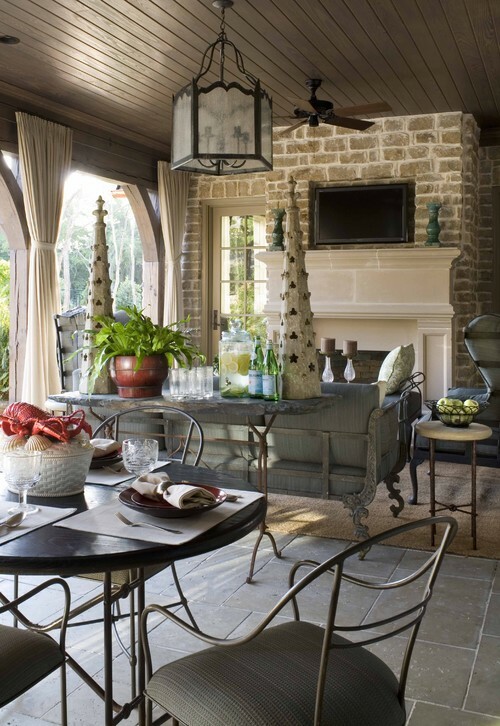 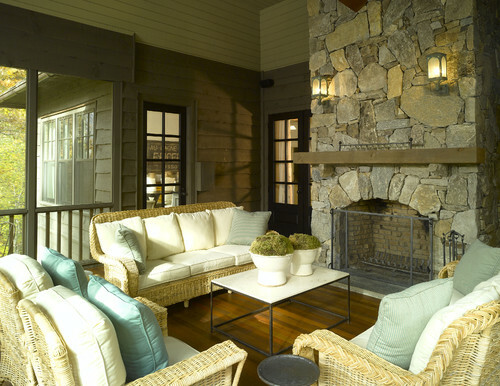 Mediterranean Porch design by Dallas Interior Designer Astleford Interiors, Inc.
Mediterranean Porch design by Other Metros General Contractor Gabriel Builders Inc.
See what happens when you mix clean [the pillows] with muted [the fireplace stone]? 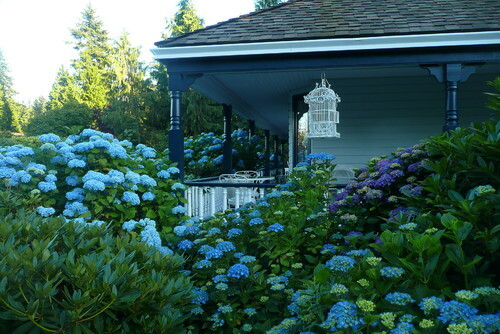 The effect is not as visually pleasing or harmonious. 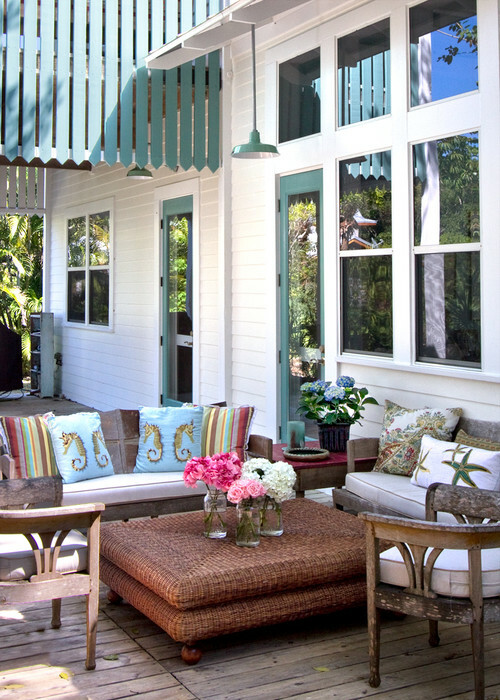 Use pretty colors as a vignette if space allows, even if no one ever sits there. 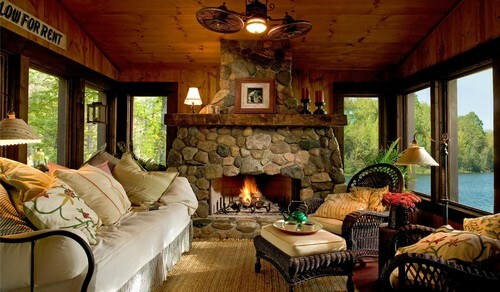 It can just “BE” pretty. 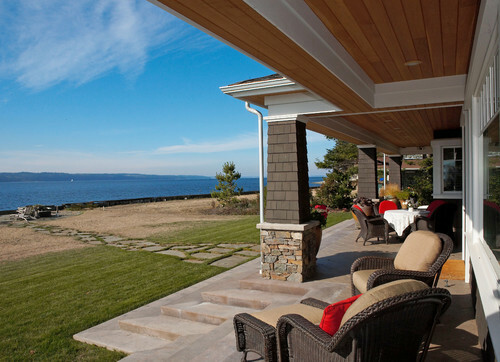 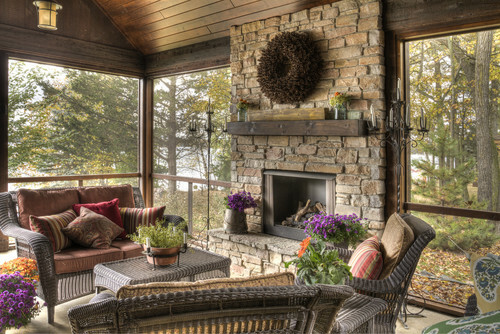 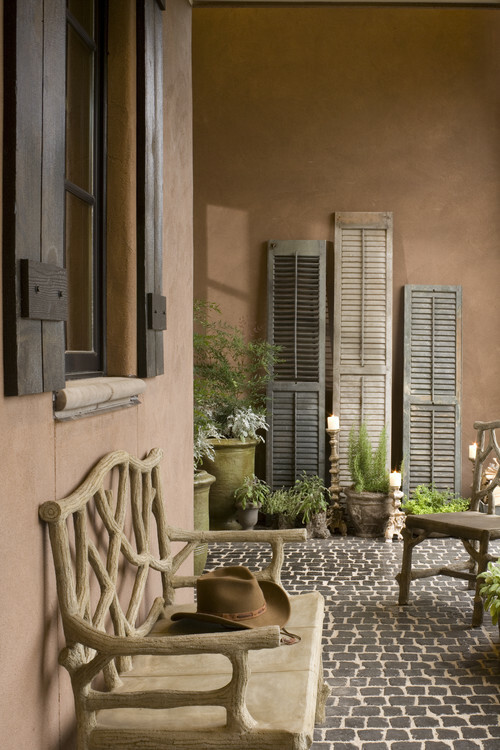 Do give a nod to the topographical area of your porch, but don’t go overboard. 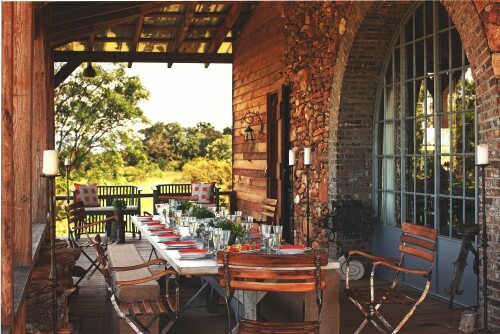 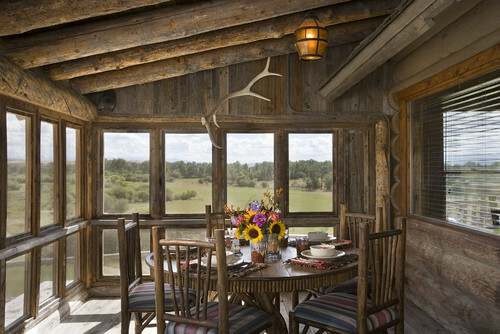 AND, IN THE HILL COUNTRY, how is this for rustic perfection? 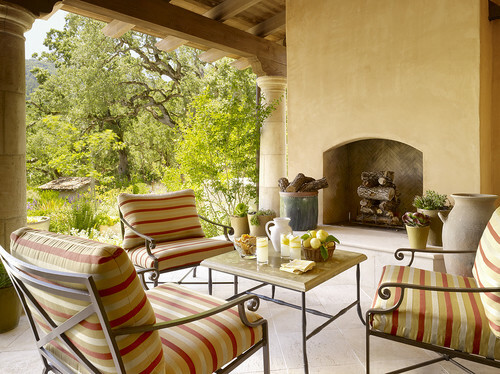 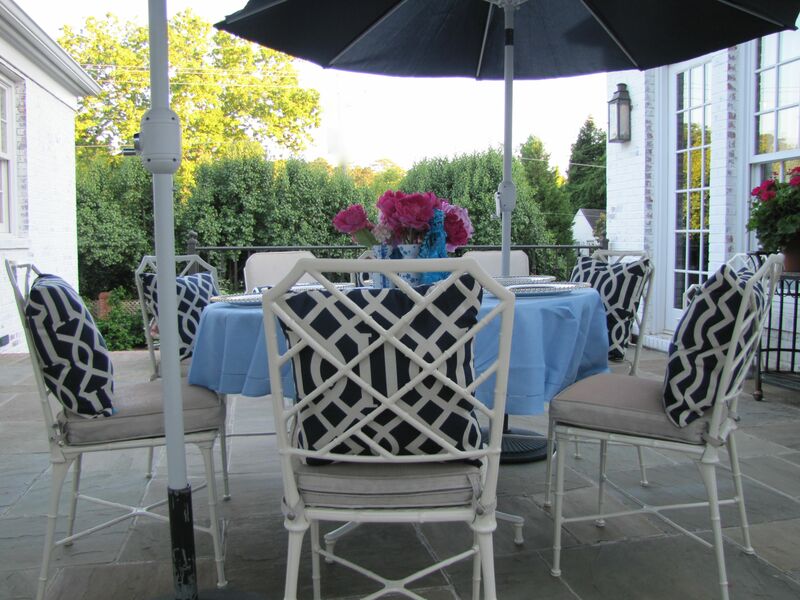 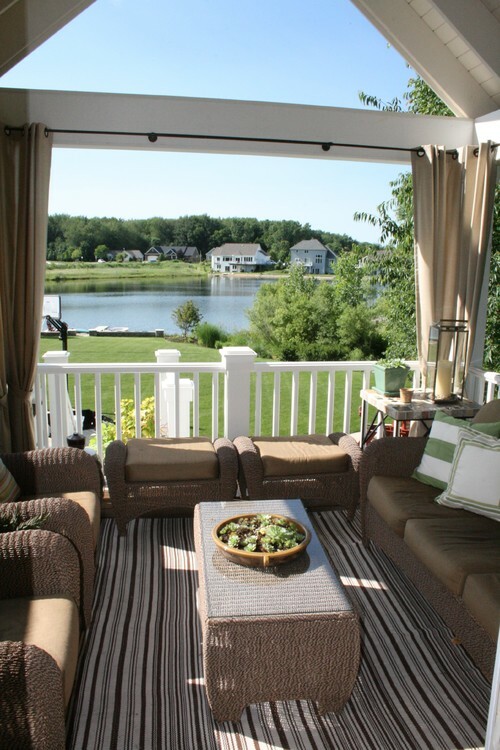 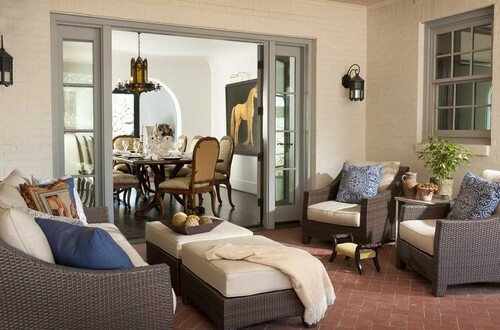 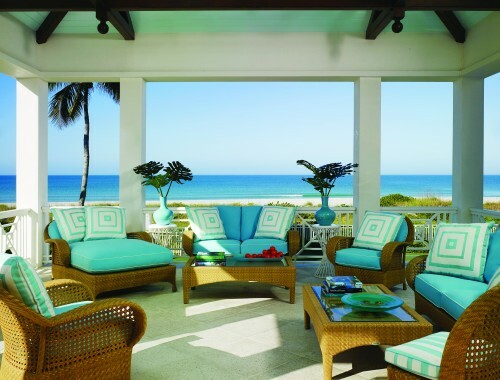 IF YOU WANT YOUR PORCH TO BE USED, you must have comfortable (deep seating) furniture. 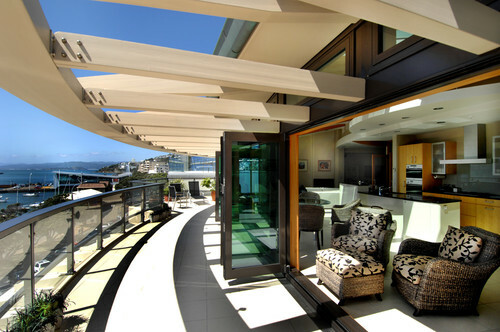 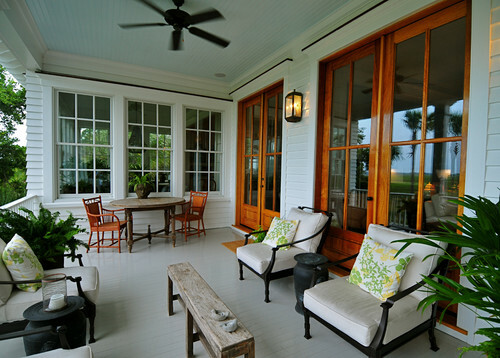 Which lovely porch would you rather sit in for a while? 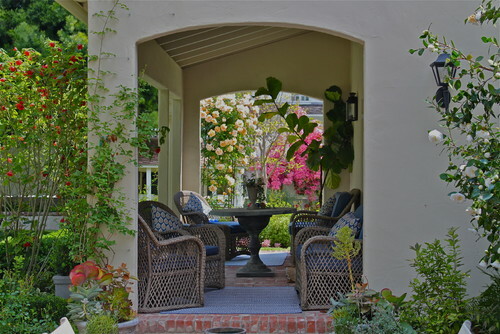 GO FORMAL IF YOU WISH. 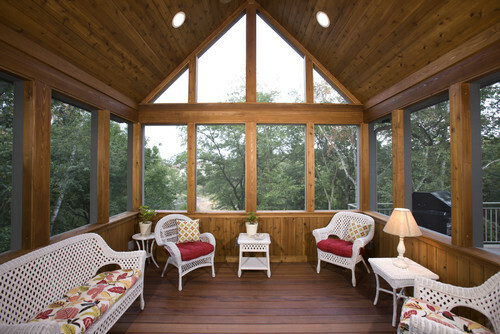 Traditional Porch design by Dallas Design-build Period Homes, Inc.
DON’T BE AFRAID TO USE NOT-OUTDOOR-ONLY THINGS IN A COVERED AREA. 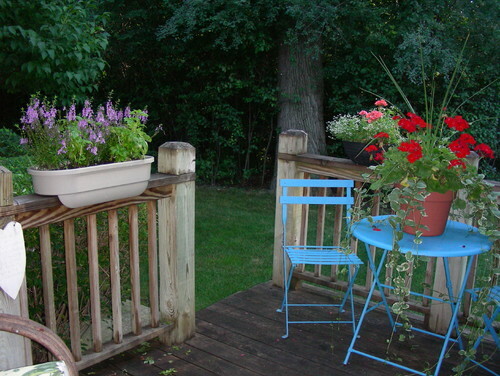 But, use only outdoor-approved electrical items on your covered porch. 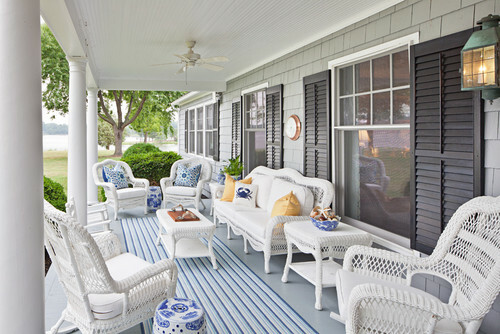 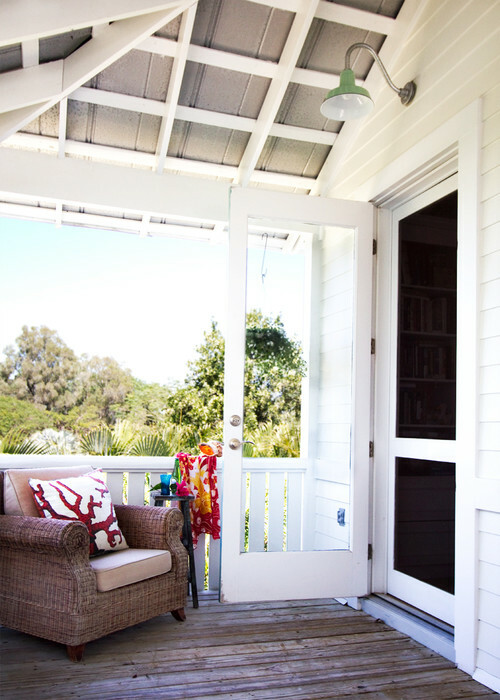 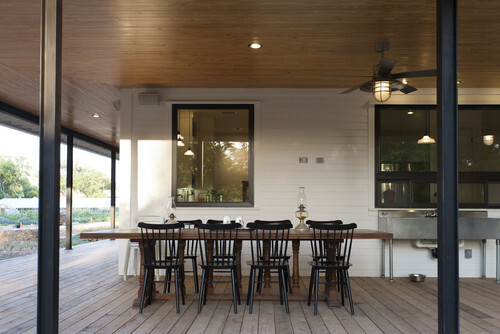 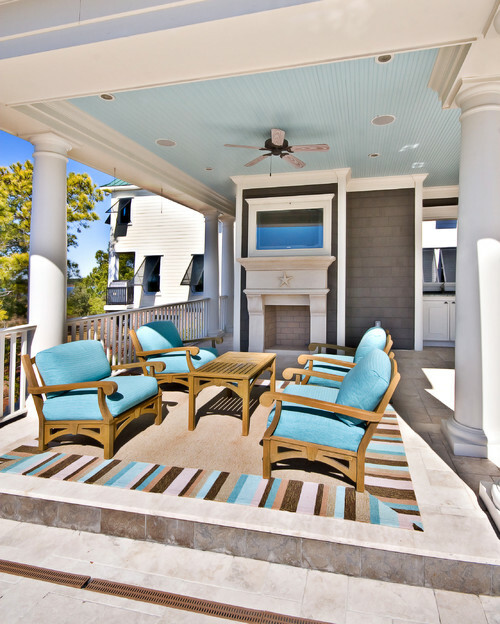 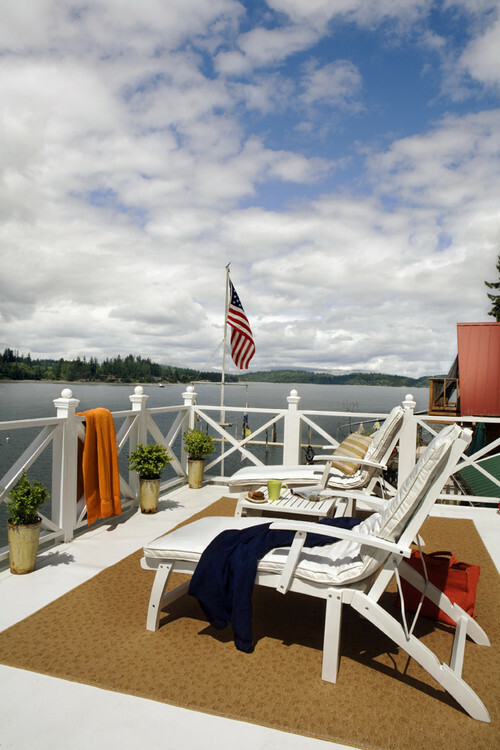 PAINT THE PORCH CEILING BLUE OR UNIFYING A COLOR. 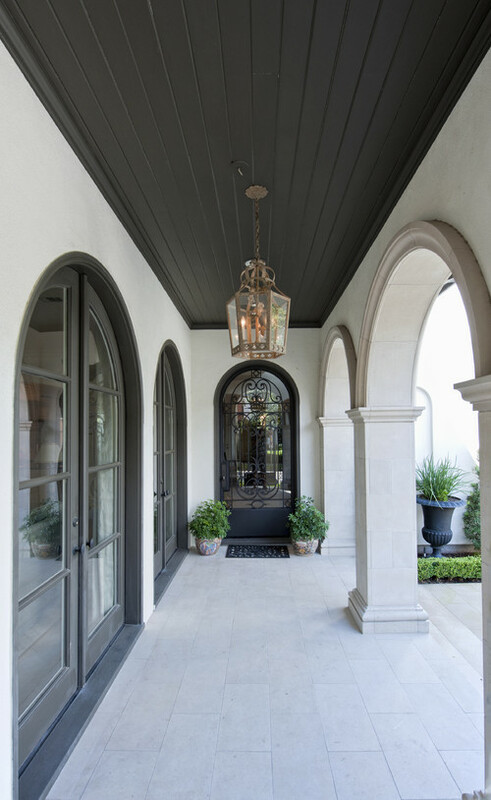 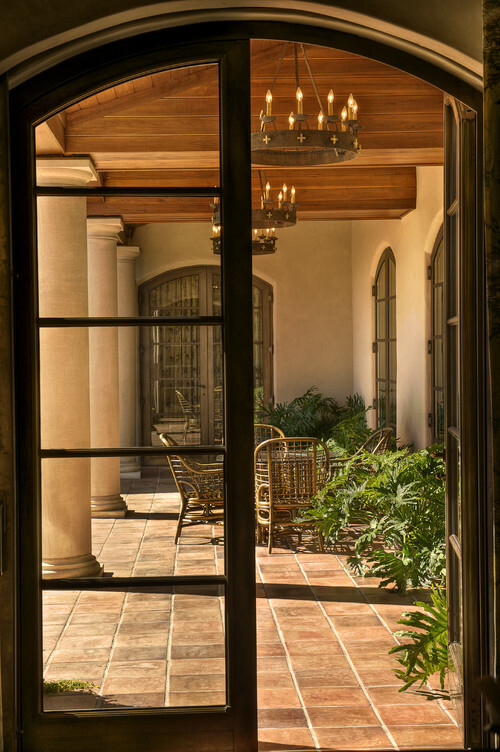 Mediterranean Porch design by Houston Architect Sullivan, Henry, Oggero and Associates, Inc.
ADD SPEAKERS FROM YOUR SOUND SYSTEM OR A TELEVISION TO ADD LIVELINESS. 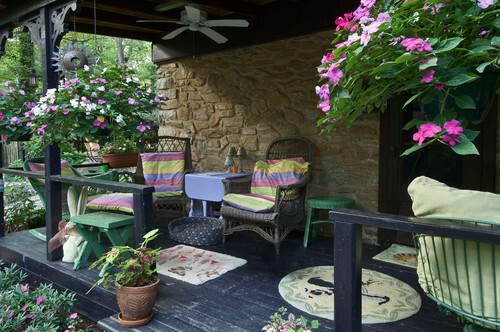 This entry was posted on July 19, 2012 by Ellen at Color Calling. 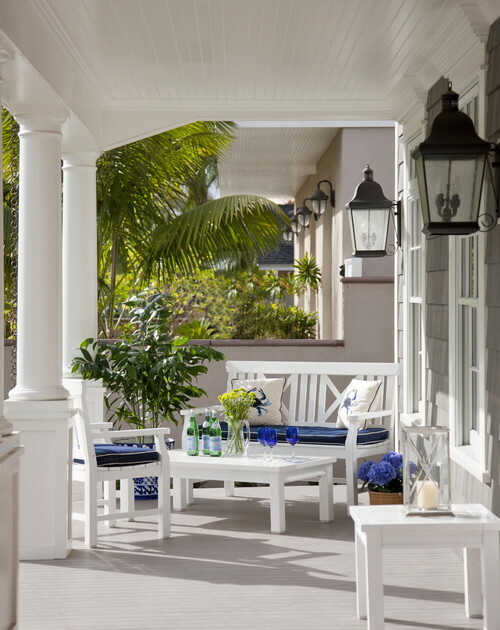 It was filed under Decorating trends, outdoor spaces, Residential styling, using the color white and was tagged with neutral colors, porch ceiling, toss pillows, upholstery.